Drumming in a group relieves stress, enhances brain function, lessens anxiety, creates joy and improves quality of life. Communicating through ancient rhythms opens the heart to higher vibrations allowing for deep connections to spirit and self. 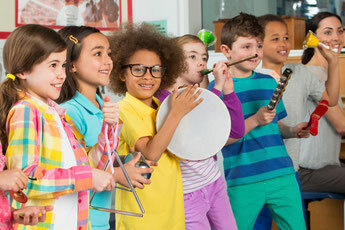 DrumConnection group classes emphasize fun and learning in an exciting, empowering environment. 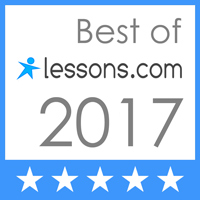 Classes are offered at various levels from complete beginners to advanced drummers. Anyone can learn how to drum! 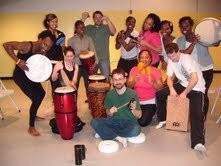 Visit drumconnection.com for a complete listing of classes and upcoming events in the greater Boston area. DrumConnection has the best selection of djembes, doundouns and accessories in the Northeast. Call 781-316-8068 or email info@drumconnection.com for our latest offerings or for a quote. Alan Tauber, from Boston, is called on to teach drumming to patients with problems ranging from addiction to autism, and learning difficulties to mental health issues. He has even offered help to terminally ill patients needing palliative care, people with social phobias and depressive and anxious patients in clinical settings. And he says the results are amazing. Experts believe that rhythmic drumming can aid health by inducing a deep sense of relaxation, reducing stress, and lowering blood pressure. It actually does much more than that! "Drumming has a number of benefits," said Tauber. "It can energize or relax. It can foster a sense of playfulness or release frustration and tension. It can also help in the conquering of social isolation and the building of positive relationships." One patient, an alcoholic, told Tauber her drumming sessions had helped her so much it had given her the inspiration to continue with a her life. "The drumming was the first time she engaged and smiled. "She said 'I came out of myself and saw that I could survive'." Tauber, who also carries out drumming sessions for the general public, said there was a growing interest in the therapeutic effect it could have, both on the individual and the community. 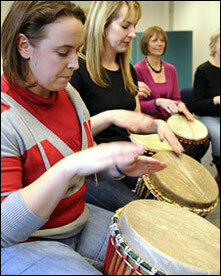 "There is strong evidence to suggest that drumming may actually be a healing activity," he said. "Some have gone so far as to prove that time spent drumming can positively affect our immune systems, levels of stress and psychological well being." Stephen Clift, professor of health education at Canterbury University and director of research at the Sidney De Haan Research Centre for Arts and Health, Folkestone, said his center had recently hosted a workshop into the benefits of drumming. Drumming is now in the forefront of our methods to reach people where medication was a first choice. "It gives a general sense of well being," he said. "As a research center we are interested in arts and health generally but particularly in regards to music. "Most of the work we have been doing is in regards to singing, particularly in groups and community sessions - but these benefits apply to drumming. "It is fun and challenging, but can produce very positive results very quickly." 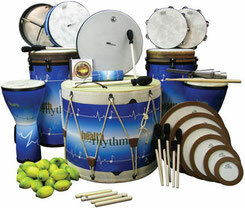 Drumming is now in the forefront of our methods to reach people where medication was a first choice. Drumming groups with a qualified facilitator should be the first method of ongoing treatment, says Tauber of Boston's DrumConnection. He believes that everybody has a sense of rhythm and we couldn't agree more! "I believe we are hard wired for music there is evidence that even in the womb the foetus has rhythm," he said. "We are all naturally musical, although in the US less than 7% of adults over the age of 18 even pick up a musical instrument once a year.